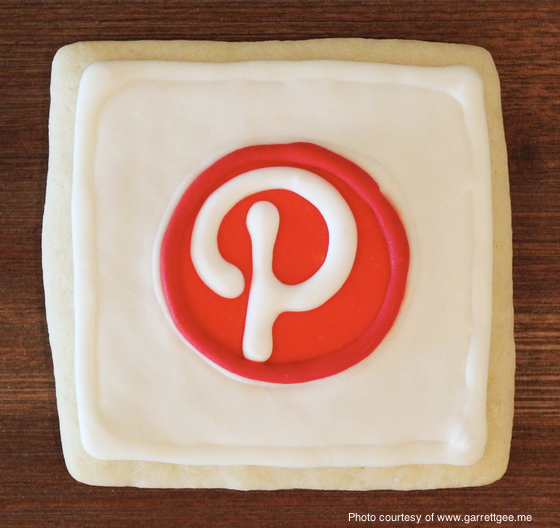 Who doesn't want a Pinterest Cookie!!!? First and foremost...Pinterest is the simplest way to go about organizing ideas and inspiration. It's free, it's creative, it's visual, you can make notes on the image itself, and IT DOESN'T TAKE UP ANY ROOM IN MY HOUSE! Also, it take less than a minute to "pin" your idea. Most of us are on our computers constantly these days. And Pinterest makes it easy for us to "pin" pretty much anything. Scrapbooks, idea, and inspiration boards can all be digital. It takes one click to see my likes. It takes me God knows how long to even want to dig through an "idea file" that I haven't a clue what I put in there in the first place. Another plus is that you can set any board you want to "Private." That way you can decide who sees what. For the hard copy sect? Just take a pic from your favorite "Elle Decor" or "Playgirl" (do they even make that anymore?) upload it to a board then get RID of the magazine. They're heavy, they take up room, and they can overwhelm us just by sitting there. It's like they're saying, "Hey! I'm 5 years old and you forgot why you're keeping me, but maybe one day I'll do you some good."